2018 British GT4 Champions, Century Motorsport, have completed their four-car line-up for the 2019 British GT Championship. 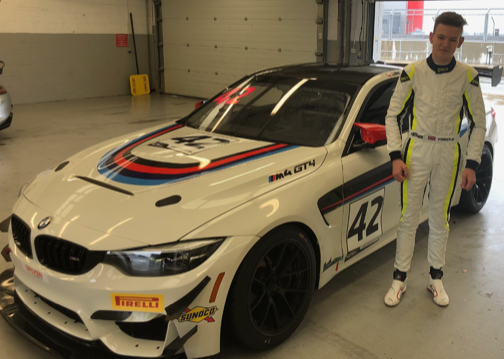 The team’s final driver pairing to be announced is Jacob Mathiassen and Mark Kimber, who will be racing in the number 42 BMW M4 GT4. Mathiassen, from Hobro in Denmark, has raced with the championship winning team previously in the 2016 Britcar Endurance Championship (finishing as Overall Vice Champion and Class Champion) and also in the 2017 British GT Championship in a Ginetta G55. The 25 year old Dane has now returned, ready to push even harder than before and eager to fight for the wins that bad luck prevented him from achieving in 2017. Kimber, from Solihull in the West Midlands, is making his car-racing debut in the British GT Championship after several very successful years racing in karting. In just three seasons, the 17 year old managed to come away with an astonishing three titles – X30 Euro Series Champion, British Super 1 National Senior OK Champion and World Rotax Junior Champion. In the last 10 years, Lando Norris is the only other British driver to achieve the ‘big three’. Century Motorsport have four strong driver pairings – two in GT3 and two in GT4. 2019 looks to be an exciting year for the team, bringing back the BMW M4 GT4s to defend their GT4 titles and also bringing two BMW M6 GT3s to British GT for the first time. The season opener will be held at Oulton Park next weekend, 20th and 22nd. Race day will be on the 22nd, which is Easter Monday. “We are delighted to be adding another strong pair of drivers to our GT4 programme. Jacob knows the team well and we know what Jacob is capable of. Mark’s karting career speaks for itself, and he has shown to be very quick in the car already. These drivers all have a fantastic opportunity to work with such a huge OEM manufacturer and an amazing Junior programme. With the setup, data and video from last year’s championship winning cars, we are giving these drivers the best possible chance of success this year and we are all relishing the challenge. 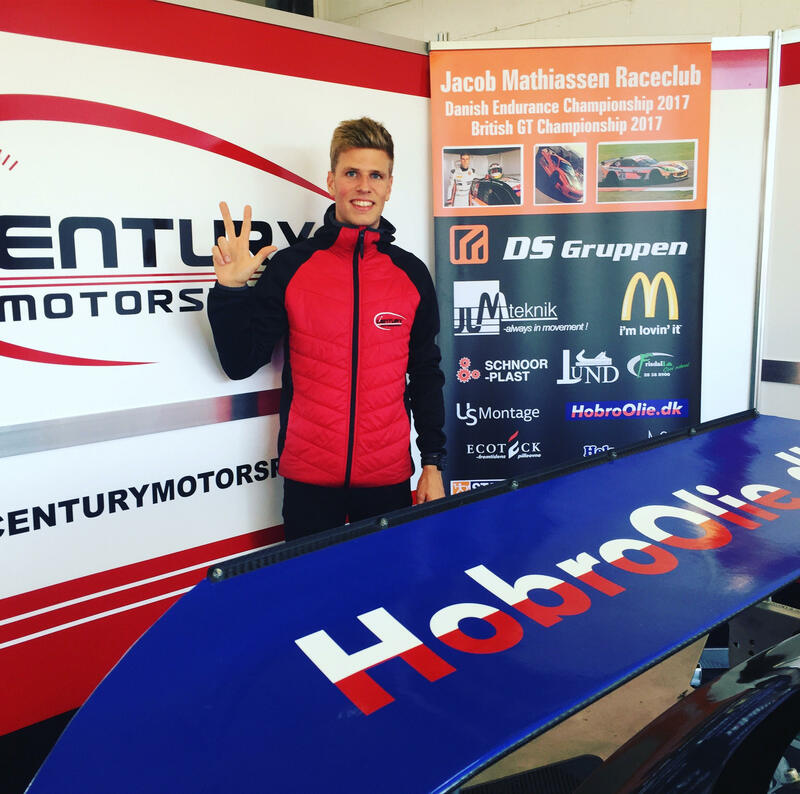 “It is really great to be back with Century Motorsport. I feel we have some unfinished business from 2016 and 2017, where only some bad luck prevented us from winning together. Now, defending the team championship from 2018, it feels amazing to be back working with Nathan and the team. The atmosphere is electric in anticipation of what we are going to do together this year; we really feel we can be at the sharp end of the field with the always-enjoyable BMW M4 GT4 car. I enjoy being paired with Mark Kimber, who is a really cool prospect. He has thoroughly proved his skill through karting, and I am certain we will work well together – hopefully I can help him transition to car racing, and I know he will help push my performance as well. It really could not be a more perfect setup for me for the 2019 season, and I just cannot wait to deliver fantastic racing, both at trackside, and for TV or streaming viewers. I am ready to give it my all.